Tenure is intended to give academics freedom to question, to experiment, to risk. But this freedom to fail often becomes a license to go stale. Too many scholars stick to their usual methods, forgetting to question assumptions, take fresh looks, to think boldly. We should continue stoking our original curiosity, refined by experience over time. Three years ago, Dr. Andrew Gyory of Facts on File asked me to update and revise the classic History of American Presidential Elections, originally edited by the legendary historians Arthur Schlesinger, Jr. and Fred Israel. Flattered, I agreed. He had no idea how significant that collection was to me, nor did I realize how complicated the project would be. I ended up taking an intellectual journey that challenged a central assumption most modern American historians share: that the information we work with is accurate. 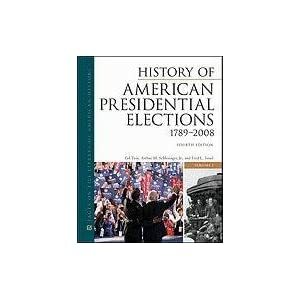 I wrote my doctoral dissertation about the history of presidential campaigning, which became my first book “See How They Ran: the Changing Role of the Presidential Candidate.” As I researched, I kept my “Bible” in my library carrel, the History of American Presidential Elections. The four volumes were in huge, ungainly, encyclopedia-style bindings, but they were beautiful. Particularly inspiring to an aspiring historian was the symphony of scholarly skills and styles as forty-nine different writers brought election after election alive. It was thrilling to read the great African-American historian John Hope Franklin on 1868 or the great New Deal historian Frank Freidel on 1932. Some, like Joel Silbey, the Cornell political scientist writing about 1836, took a more quantitative approach. Others, like Theodore C. Sorensen, John Kennedy’s speechwriter writing about 1960, gave more of a you-are-there feel. My initial task was to write two new essays, about 2004 and 2008, to update the collection from its most recent edition, and to reread the 4,877 pages, covering up to 2000, looking for typos, mistakes, anachronisms, or language we would now deem offensive. Then, we got ambitious. We decided to make chronologies and fact sheets for each election. That’s when the trouble began. Given Americans’ obsession with elections, I assumed there were many election chronologies floating about and that the fact sheets also be easily compiled. Instead, we undertook a gargantuan task with few shortcuts and, surprisingly, much factual ambiguity. When we then compared these summaries to the information in the essays for consistency, we uncovered a mess. There were dating discrepancies. The ever-reliable Encyclopedia of American History, edited by Jeffrey B. Morris and Richard B. Morris, said the United Labor Party in 1888—which was distinct from the aforementioned Union Labor Party—“meeting at Cincinnati (15 May), nominated Robert H. Cowdrey for president….” This time, Schlesinger’s Almanac was more accurate, listing the nomination on May 17, 1888. The New York Times confirms the Cowdrey nomination on May 17, although the convention may have begun two days earlier. Dates frequently were off by a day, especially because newspapers sometimes reported the news the day it happened, and sometimes a day later. This problem was particularly true with the starts and finishes of party conventions. Sometimes, mistakes simply crept in. The essay on 1892 says that Caroline Scott Harrison, First Lady and wife to Benjamin Harrison, died on October 24, 1892. She actually died a day later, October 25, of tuberculosis, two weeks before the general election, breaking the president’s heart. The statistics—and there were piles of them—posed particular headaches. As we all discovered during the 2000 electoral deadlock between George W. Bush and Al Gore, even in our computer age it is hard to get an accurate count when millions of voters fill out ballots in one day. Early on, we decided that uniformity was essential and we would follow an extraordinarily accurate source, Dave Leip’s Atlas of U.S. Presidential Elections. Reconciling the chronologies and fact sheets with the frequently quoted statistics in the essays proved painstaking. Most disturbing were the variations in reporting of mainstream national conventions. Results for the crucial second ballot during the Democratic National Convention in 1880 were rendered for decades in the History of American Presidential Elections as Hancock 310, Bayard 112 and Field 66.5, when in fact Hancock had 320, Bayard 111, and Field 65.5. It was also necessary when compiling information on that election to distinguish Hugh J. Jewett, a Democrat who received one vote that second ballot, from Marshall Jewell, a Republican who received 44 votes on the Republican’s 36th ballot. Equally confusing was the proper name for splinter political parties—was it the Greenback Party, Greenback Labor Party, the Greenback-Labor Party, or the National Greenback Labor Party? Research suggested that in 1880 it was the Greenback Labor Party—hyphen removed from the essay—but by 1884 the party name was hyphenated as alliances ebbed and flowed. More substantively—and perhaps most disturbing—was the chaos we discovered when filling out one of our fact boxes “Methods of Choosing Electors.” The Constitution empowers each state legislature to determine how to choose electors for the Electoral College. Until the democratic Jacksonian Revolution of the 1820s, when most states went to today’s familiar system, with the highest popular vote getter in each state winning the state’s electoral votes, legislatures monkeyed with the system repeatedly. Historical sources were absolutely contradictory here. Again, valuing consistency, we relied on one authoritative source, in this case the Historical Statistics of the United States. We at least made our reference work uniform. But I urge my history of the early republic colleagues to look more closely state-by-state and come up with some more satisfying, authoritative answers. Of course, none of these variations or errors changed the basic facts of who won, or who lost. Still, I found the process unnerving as well as exhausting, as I put off a book project, and endless workdays blurred into sleepless nights. I have long treated the study of American history as a question of interior design. I assume the basic floor plans of the house don’t change, meaning the American narrative’s chronology and defining facts. I compare the different, layered, interpretations we historians develop and debate to the color schemes, furniture purchases and interior layouts that can change our experience in the room without altering the basic framework. All these errors and anomalies we caught were like termites in the basic building. They reminded me of the power of history and the particular allure of the campaign, wherein life’s chaos and human imperfections collide, for better and worse. But they also shook my confidence in the accuracy of quotations I read, the statistics we plough through, the little factoids we use to weave our tales. That return to skepticism is healthy. It has made me more exacting in my own work—and with my students. This complex reminder of what I now think of as the History Uncertainty Principle has also been constructively humbling to me, reminding me of the scholar’s mission to be skeptical, not to assume, to dig deeper—knowing that the results will often be more satisfying and will always be closer to the truth we all seek. Two decades after Reagan left office, debate continues to rage over just how revolutionary his presidency was. 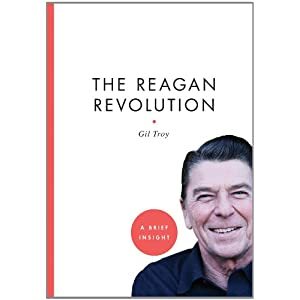 This book tackles the controversies and historical mysteries that continue to swirl around his legacy, while providing a look at some of the era’s defining personalities, ideas, and accomplishments. Today, Reagan remains the most influential president since Franklin D. Roosevelt, and his legacy continues to shape American politics, diplomacy, culture, and economics.